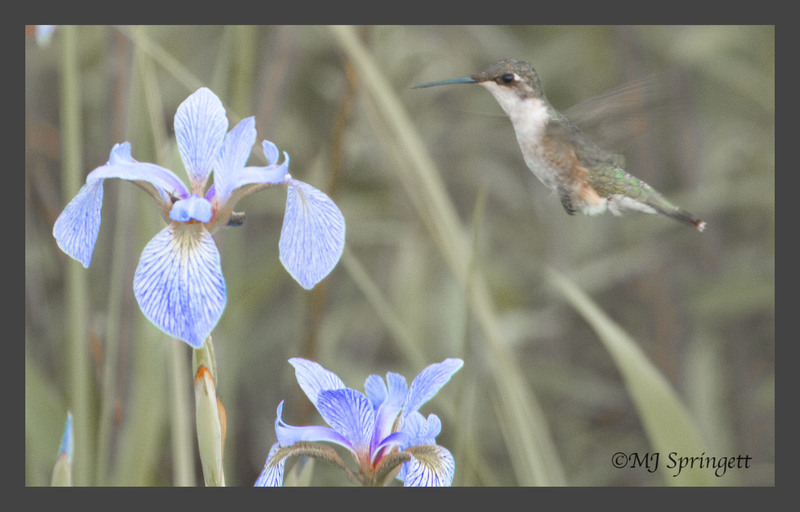 Posted on June 9, 2012, in Birds, Crex Meadows, Nature, photography, Wild flowers and tagged birds, Crex Meadows, humminbird, iris, mjspringett, photography, postaday, wildflowers. Bookmark the permalink. 4 Comments. I think you did a good job. It’s really hard to get hummers to pose!